Fiberbac trays made by non-stick material, silicon cover - suitable for the food industry, double sided. 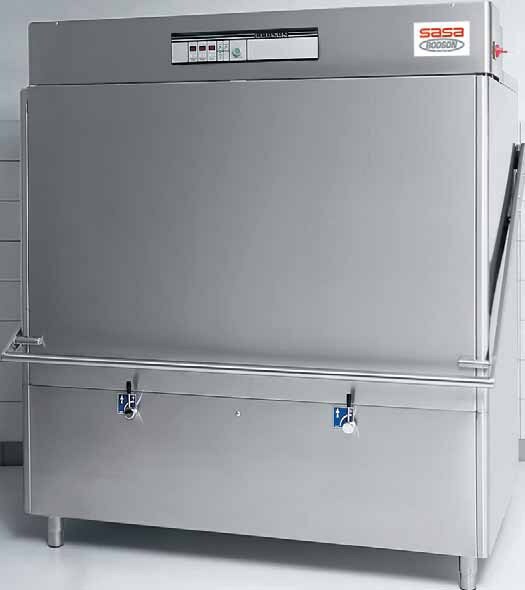 Designed for storage of dough roll during the Proofing process, the machines have layers of coatings designed to promote aeration while adhering to the specific humidity requirements. Their rot-proof feature ensures durability. Automatic pull-out feature ensures increased productivity during the baking process. Developed to ensure optimum hygiene during proofing. 25 x 25 or 30 x 30 mm tube according to model. Standard height : 1778 mm. 20 levels. L-shaped runners. Distance between levels : 78 mm. 25 x 25 mm square tubes monobloc structure in stainless steel. Standard height : 1810 mm. Rubber wheels, chromed steel fork. 20 levels : 78 mm. SASA pastry racks are the industry benchmark in quality in terms of appearance, maneuverability, durability, and customer satisfaction. Their space saving design offers practical solutions for better organisation. For display - only - not suitable for baking. SASA’s display trays for stores will enable you to add value to your products with perfect presentation. 4 edges to 45 °: Height 12 mm. Without coating. Delivered with a protective film. Not intended for cooking. 25 x 25 mm square tube structure. 25 x 25 mm square tube structure in stainless steel. Distance between the levels : 77 mm. SASA storage stainless steel wire grids are the solution to your storage needs due to a wide variety of sizes and different technical options (with or without stop and / or reinforcement). Distance between the levels : 83 mm. 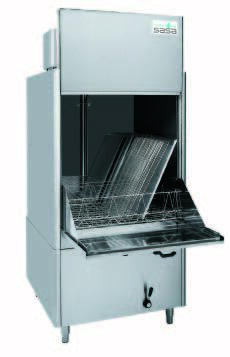 1 removable facing door with Stainless steel frame which can be slided on the sides. ø 100 mm nylon wheels. SASA storage and proofing cabinets meet your needs in terms of capacity and durability. They are an indispensable asset during the first rising or resting phase, before shaping the dough. L-shaped runners (U-shaped runners for 1/2 Paris style). For grids 1050 x 800 mm. Sasa croissant trays have been designed to provide perfect stability for the products on the trays while providing perfect baking quality. Non-stick silicone Bi-Flon 60 coating. Unperforated aluminium frame and plate. Coating possible. Special stand to finish baking pre-cooked bread. Stainless steel food grade frame. Aluminium mat. Aluminium mat Non-stick silicone Bi-Flon 60 coating. Stainless steel wire & mesh baking trays are among the most versatile solutions that can be used in proofing, baking and deep-freezing. Thermal rendering of the stainless steel mesh along with its aeration feature enables fast and efficient baking. Stainless steel food grade solid wire frame. Stainless steel removable mat -provided with rods. Non-stick silicon Bi-Flon 60 coating (Refurbishment possible). Flat or with channels. Non-stick silicone Bi-Flon 60 compliant with strict norms of food grade material. Fixing by stainless steel staples. Fibermax filets provide an ideal solution for baking your frozen dough. Their fiberglass mesh coated with silicone provides proper and even grading of bread while allowing easy depaning (flexibility of the mesh allows better clearance of bread despite the anchoring phenomenon observed during the defrosting process). 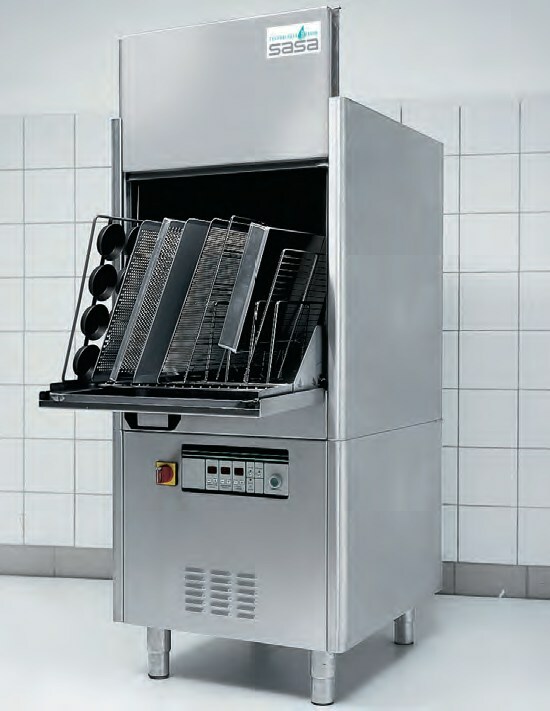 Eurogliss baking trays benefit from comprehensive and technical supports developed specifically for industrial purposes. As such, their aluminium sheet ensures an excellent heat transfer, thus optimising the baking process. Adapted for semi-industrial and manual processes, the recessed and rounded edges are specially designed for frequent handling and quick and easy placement on the racks. Designed for multiple uses and ideal for Viennese pastries and sugar-based preparations. Baking mats or non-stick freezing mats. Application of a non-stick SASA silicone coating technique. Fiberglass baking or deep-freezing mats. Designed for many uses. Particularly recommended for the baking of pastry, confectionery, and sweet goods. This non-stick silicone coating is a SASA exclusive process. Best when used with trays with large perforations. Very durable and easy to clean (with water and a soft sponge). Do not cut on the mat and do not fold it. Designed specifically for baking special, round or non graded breads. Application of a non-stick SASA silicone coating technique. The sasa baguette trays guarantee a perfectly graded product by providing optimal heat exchange and ventilation. Stainless steel wire frame ø 4 mm. Stackable, easy handling thanks to rounded corners. Vents (5 x 70 mm) at the vertices for better air circulation. Without any coating: a light regular lubrication suffices. With non-stick coating: fluoropolymer Optiflon. Available without coating, with silicone Bi-flon 60® or fluoropolymer Optiflon® non-stick coating. Edges : 10 mm inner height. Edges : 20 mm inner height up to 400 x 600 above 25 mm high. Reinforced edges (with folded lips). The 3-edge trays are reinforced on the open side on request and according to sizes. For best baking in your ventilated oven. Baking trays with 45° side. Edges: 12 mm inner height. Baking trays with straight edges. Edges: 20 mm inner height to 400 x 600, beyond 25 mm. 4 welded edges (3 sides model: on request and as per dimensions). Reinforced edges (Folded lips). Only uncoated. Pressed steel moulds mounted on stainless steel wire structure 400 x 600 mm. Silicone Bi-Flon 60 or fluoropolymer Optiflon. Interior dimensions of moulds: ø 80, ø 85 and ø 100 mm. Aluminium coated sheet (Steel sheet coated with aluminium). Rounded and welded corners. Available with or without non-stick coating as per choice: Silicone Bi-Flon 60 or fluoropolymer Optiflon. With individual lids, set lids or without lids. Dimensions: length: from 80 to 635 mm, width: from 60 to 200 mm, height: from 45 to 155. “Belgian type bread” mould thickness 1 mm. Pressed aluminium, for other materials please contact us. With or without non-stick silicon Bi-Flon 60. Double capacity, double performance, double cost, double entry! Stainless steel 18/10 (AISI 304). Control box outside the handling area. Drainage: adjustable 2 to 20 seconds. Pressure setting: 1 lever on the front. model C877 : 32 gourmet trays GN 2 / 1or 64 gastro trays GN 1 / 1. Water: 3/4 inch female - required pressure between 2.5 bar minimum. - model 87 : W. 830 x D. 830 x H. 850 mm. - Sliding front door (C) or half-sliding and half-collapsible (PA). Front door half-sliding and half-collapsible - PA63 / 87 - Wash. Powerful, compact and silent ally of your professional success! Panelling and tank made of stainless steel 18/10 (AISI 304). Cleaning compartment: W. 520 x D. 630 x H. 500 mm. Front door half - sliding and half- collapsible, the half-collapsible door is used as a loading table. Water: 3/4 inch female - required pressure between 2.5 and 3.5 bar maximum. © Copyright 2004-2019 - ECE CAIX Ltd.